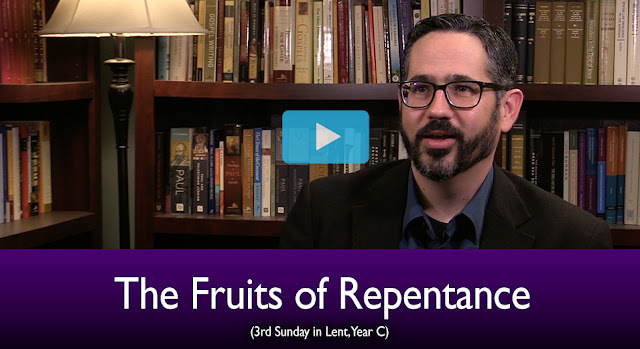 This week's video is now out over at Catholic Productions for the 3rd Sunday of Lent. Check it out below. "Interior repentance is a radical reorientation of our whole life, a return, a conversion to God with all our heart, an end of sin, a turning away from evil, with repugnance toward the evil actions we have committed. At the same time it entails the desire and resolution to change one’s life, with hope in God’s mercy and trust in the help of his grace. This conversion of heart is accompanied by a salutary pain and sadness which the Fathers called animi cruciatus (affliction of spirit) and compunctio cordis (repentance of heart)."